ATLANTA, January 27, 2015— Many moms wonder what they can do with 2 to 4-year-olds that’s fun, educational and tailored to this specific age group. 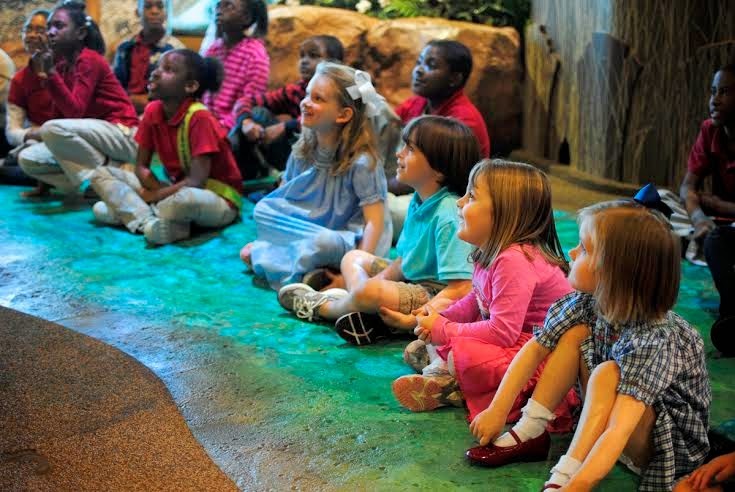 Back by popular demand, Mommy & Me Mondays at Fernbank Museum of Natural History has the answer. Mommy & Me Mondays pairs a great discount with curated activities suited for the toddler set. Mommy & Me Mondays, which is also available for dads and nannies, includes museum admission for one adult and up to two children ages 5 and younger for $20. The ticket also includes free parking. At the museum, they’ll be sure to enjoy the award-winning children’s exhibition, Fernbank NatureQuest as well as several activities that were developed by the museum’s educators specifically for toddlers and preschoolers. Fernbank NatureQuest features more than 100 interactive elements, from a pier puzzle covered with sand dollars and starfish to “splashing” with fish in the virtual river. There are also several habitats of live animals, including baby alligators, for kids to observe. In addition, the exhibition features a connect-the-dots game, “night vision” goggles, magic mirrors, and many other surprises.